The oldest working lighthouse in South Africa today. It was commissioned on 15 March 1864, which means that it's not only the oldest working lighthouse down here, it is also protected under the National Heritage Resources Act 25 of 1999. Finding attractive images of this lighthouse, like I did with my previous online adventures, proved quite difficult. This Victorian structure just seem so rigid, reflecting the prim nature of the era, I guess. Obviously any lighthouse stems from the need to protect seafarers from rocky and precarious shores, and this lighthouse is no different; but its location was named by Bartolomeu Dias (when he sailed into Mossel Bay on 3 February 1488*). He called it Bahia (Aguada) de Sao Bras, "the watering place of St Blaize"**. From what I could gather, the southern shores are also lined with cliffs and that there are massive caverns on the sides of these cliffs, which were cut out by the surf's relentless force. Archeologists believe that these caverns provided the ancient Khoi with shelter. 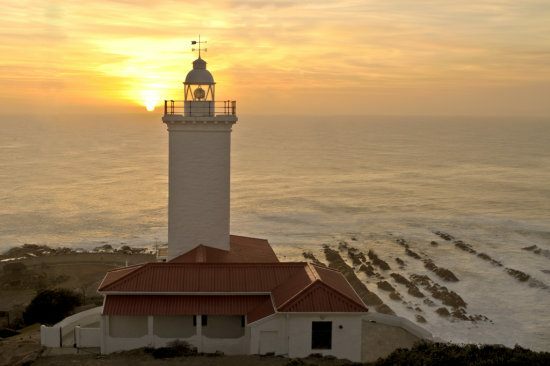 Another interesting fact, is that the lighthouse at Cape St Blaize was also one of the only two South African lighthouses to be manned 24 hours a day - even late into the 1970's they had to wind up the clockwork system every three hours to keep the lens turning. Today, it is completely automated, but there is still a senior lightkeeper and two lightkeepers to keep constant radio watch and perform regular meteorological duties. 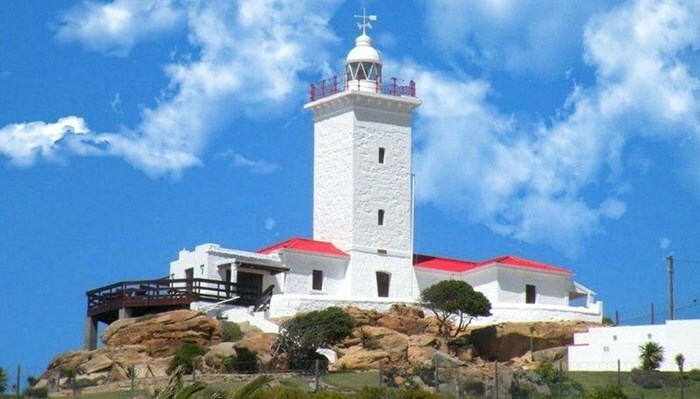 The Transnet Port Authority confirms that this lighthouse is open to the public from Monday to Friday between 10:00am and 15:00pm, excluding Public Holidays, and it's worth checking out the Old Post Office Tree*** nearby. *Dias also named Cape Agulhas. **St Blaise being the patron saint of throat illnesses, animals, wool combers, and wool trading. ***The first post office, a Milkwood tree, on South African soil since 1500.
Who's the Weirdest of Them All?